Artful Dodger is widely regarded as the most commercially successful and creatively influential UK Garage act to have emerged from the scene to date. Originally made up of producers Pete Devereux, Mark Hill and MC Alistair, the name Artful Dodger is synonymous with the genre: together they produced an incredible series of chart-topping hits, remixes and a platinum-selling album released in 2000, It’s All About The Stragglers, that confirmed Artful Dodger’s place as a top-tier production act. Singles like “Re-Rewind” and “Please Don’t Turn Me On” have become truly iconic tracks, still regularly belted on national radio today. 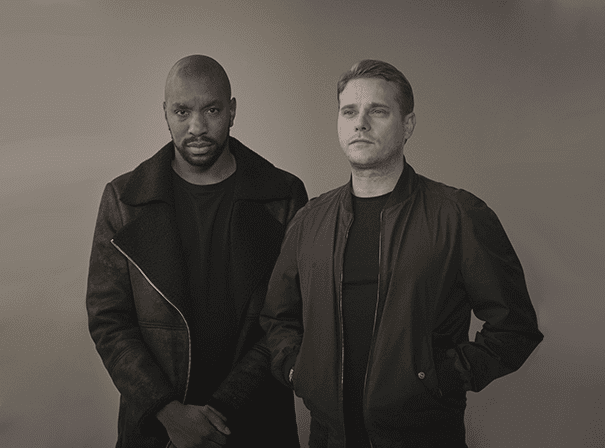 After Pete and Mark chose to pursue other ventures, MC Alistair decided to continue bringing the iconic Artful Dodger brand to clubs and festivals across the globe by teaming up with David Low, the co-founder of Public Demand Records – the label responsible for introducing the world to Artful Dodger. The partnership was a phenomenal success, due to their versatility, musical talent, and ability to play for any crowd. They have since been tearing up dancefloors as a duo for over fifteen years, and their reputation as an MC/DJ duo is unrivalled. True pioneers of UK Garage, Artful Dodger continue to play on some of the biggest stages, venues and festivals alongside some of the most influential artists in the music business.